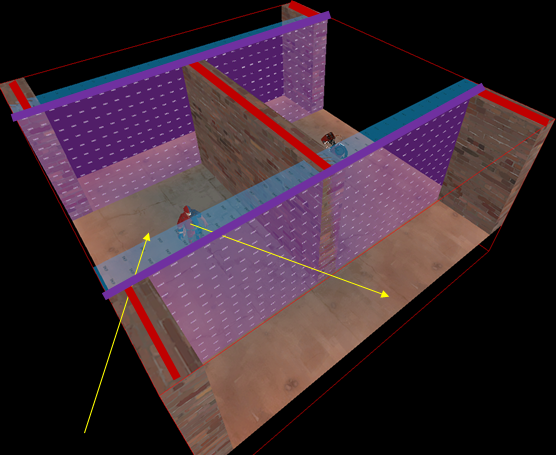 Optimization is one of the least understood parts of mapping in source; there is a lot of hearsay on the matter and generally the topic can appear overwhelming to new mappers. Today we’re going to discuss how optimization in source works, not from a theoretical approach, but from an example-by-example method that will hopefully bring us around to understanding the underlying theory. When implemented correctly, good optimization can be more beautiful than the aesthetics of a map itself. This tutorial assumes you have an intermediate understanding of using hammer and the terminology used for its processes. 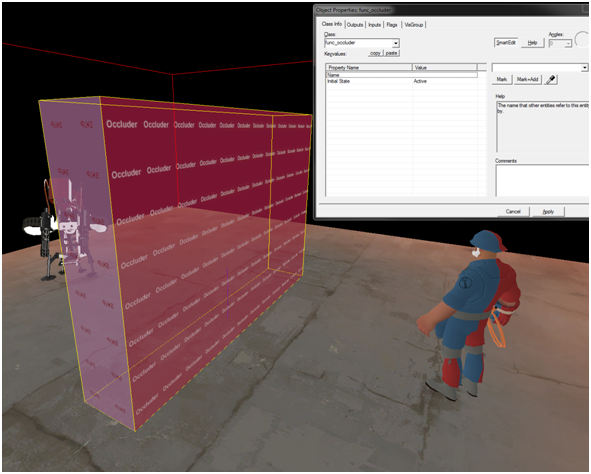 For this exercise we will be considering the source game TF2, though these techniques will apply to source in general. 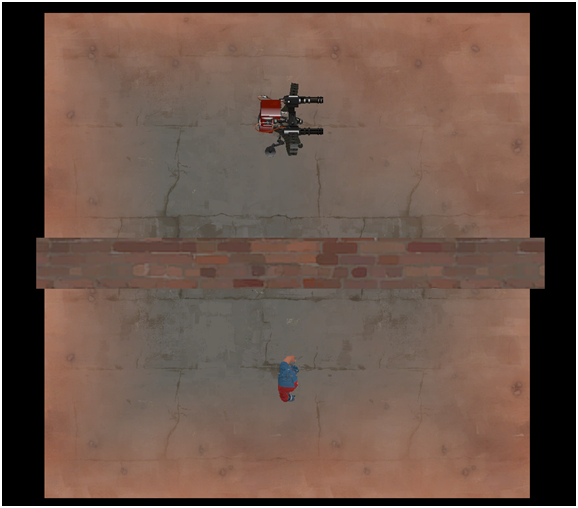 Our players will consist of a brick wall, an engineer representing the player, and a sentry representing the high-polygon props that end up creating framerate loss on our players’ end. 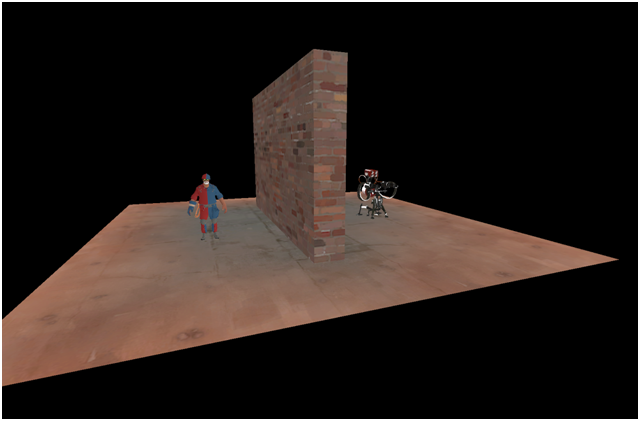 Our goal today will be to instruct the engine not to draw the sentry when it is indeed hidden by the brick wall. 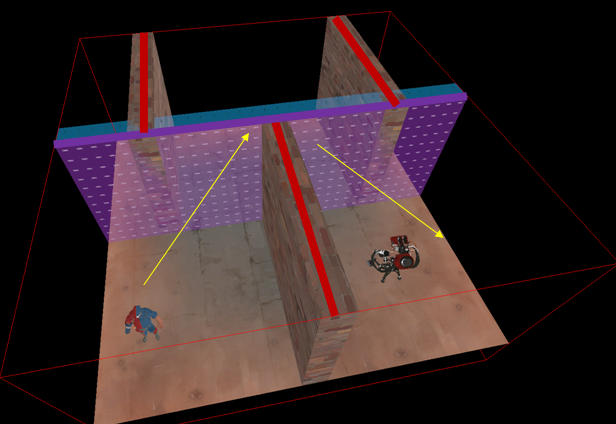 We would assume that, when looking at the wall, the engineer’s GPU would not be rendering the sentry. In source, not necessarily so! 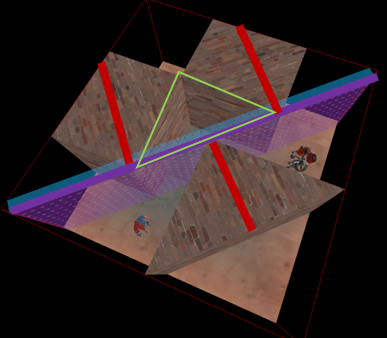 On compile, when vbsp is run, the engine makes imaginary cuts out of any open space to determine what players should render. Confused? Well, let’s look at the scene from above. Now let’s attempt to draw lines from the engineer’s partition to the sentry’s partition. 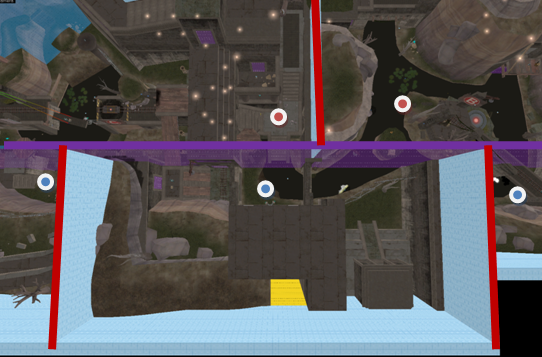 As you can see, even from the deepest angle, we can’t draw a line from the engy’s space to the sentry’s. Therefore, the engy won’t render the sentry! Hoorah! 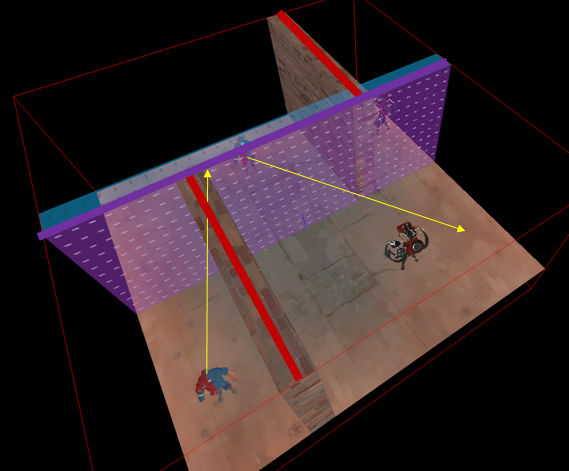 We can easily draw a line from the engy’s partition to the sentry’s, and so he would render it while looking at the wall! This is clearly incorrect, so how do we tell the engine to partition it like our first example, rather than this inferior second one? The answer lies within the tool texture, Hint. We use hint brushes to tell the BSP system- or rather, to hint to it- where it should perform its partitions first. 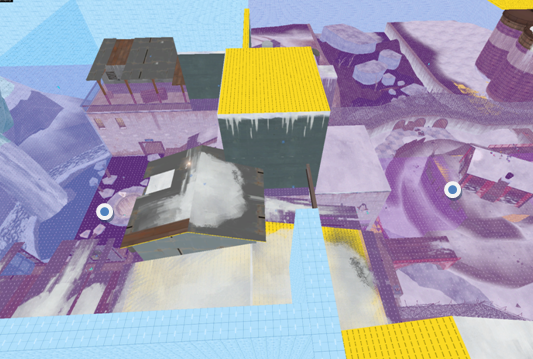 A hint brush is constructed by texturing a world brush entirely with skip, and then applying the hint tool material along the face where we want a cut made. Let’s quickly add hints to our example so that it partitions correctly. We want to place them so that those cuts along the wall’s skinny edges are made first. This is now correctly hinted, and presuming our scene had four walls and a ceiling in addition to the brick wall, would be cut as in our first partition example. So what can we take from this? We will now go into a discussion of practical uses of hints. 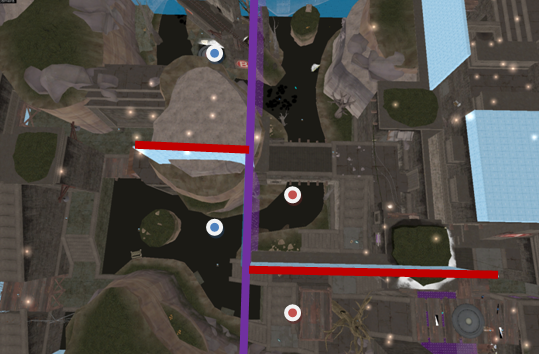 From here on out, we will be using cordons, marked in red, to represent the walls and ceilings surrounding our scene; red lines will represent world brushes, and purple represent the hint faces; yellow lines will denote possible lines of sight out of any one partition. This is the simplest of optimization situations, and one that can be combined into many other derivative forms. The first of these derivatives is the H structure, which we’ve studied: A solitary wall bracketed by two hint brushes. 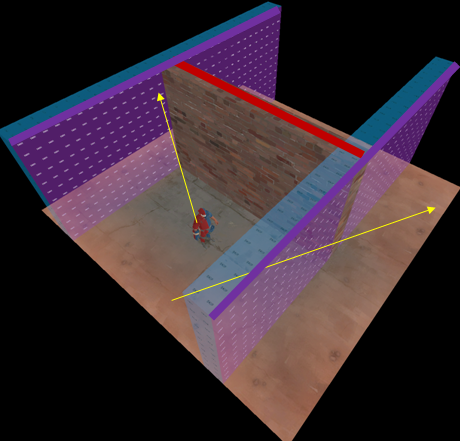 In this situation we’ve replaced one wall with a hint brush, so that players on each side of the hints can see down the hall, but those within the width of the wall cannot see the sentry. We now have 4 Ts jutting out from our cordon walls to touch the hint brushes. 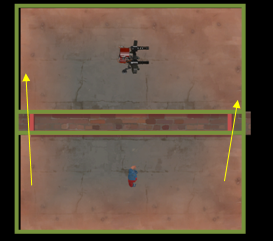 This means that players in the halls can see both areas, but any players in the partitions behind any of the 3 walls on the engineer’s side cannot see into the sentry’s partition. We’ll call this shape the ]-[ configuration. 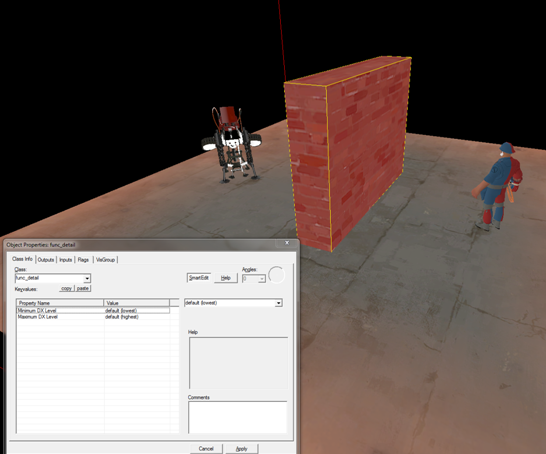 We’ve added another pair of engie and sentry to demonstrate the dual quality of this simple arrangement. The bottom engie cannot see either sentry, and the top engie can see 1 but not both. This should look familiar, as the W is basically half of our ]-[ shape, but designed to work with only a single path instead of two paths of travel. 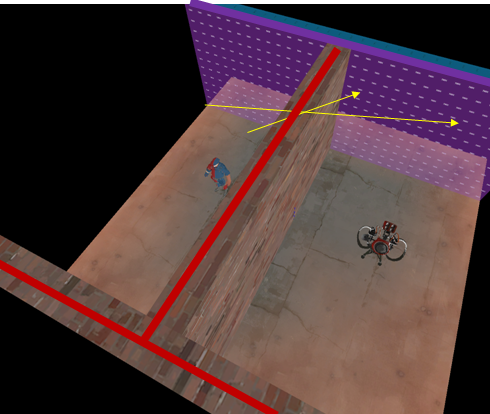 As you can see, we now have a right angle corridor, but even though our walls have changed shape the W’s optimization is still at work. 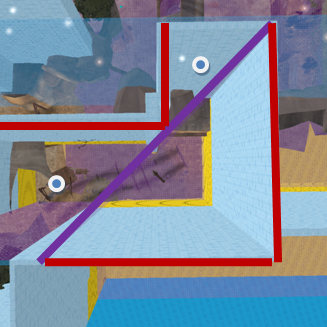 Only players inside of the green triangle can see both areas. We can use the L shape in a variety of places. 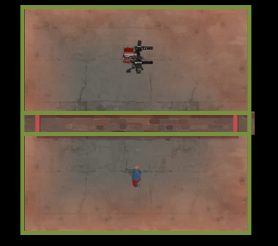 An easy example is the right-most corridor on 2fort as you enter the enemy base from the outside second-floor; it leads to their spawn room area. So while there is no ceiling abutting our shorter walls, the T function of the horizontal hint allows the W to still work correctly. It is important to note that without a ceiling or horizontal hint, there is no telling how vbsp and vvis will interpret your optimization structure! 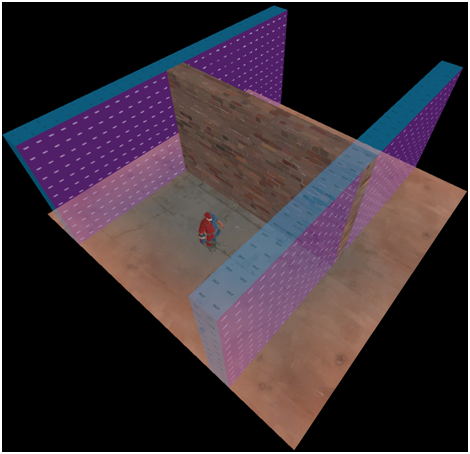 If any of the partitions extends above the walls involved with the particular optimization structure, VVIS will be able to see down from the top of the partition into other partitions, and players in that first partition will therefore render objects otherwise hidden by walls. 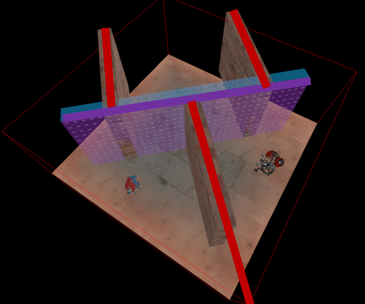 We have now covered all of the basic optimization shapes that involve hints. 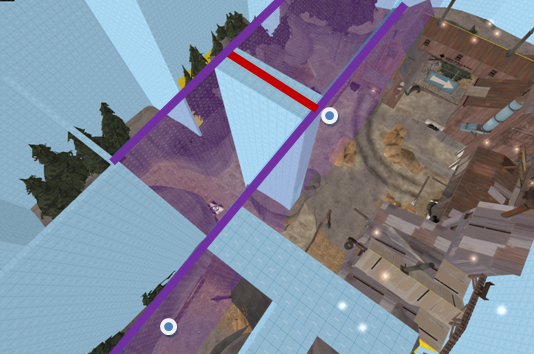 Experiment with combining Ts into other new structures to complement your map design. OPTIMIZATION MUST BE CONSIDERED WHEN CONSTRUCTING A LAYOUT. 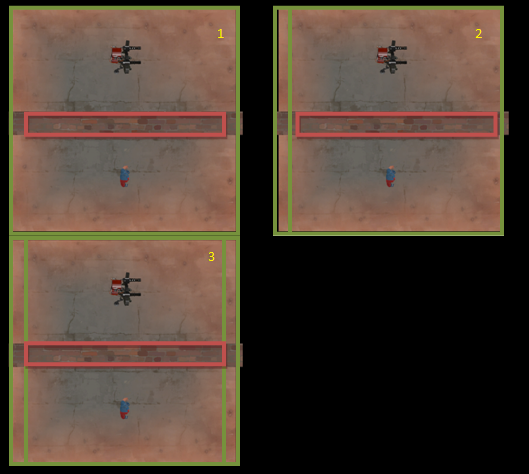 These structures are simple but need to be in mind when laying out a map! Remember that any of these structures can be scaled to any size, and we will demonstrate macro uses of these micro shapes in this next section: real examples. I’ll be using mostly my own work to point it out; you may download them if you wish to see these in game. Our actors will be represented by two blue circles; in each scenario the circles will not render one another. You can see how large you can expand these structures to be without interrupting function. There are unlimited examples of such structures being twisted and used in every imaginable fashion, so keep an eye out! I couldn’t possibly cover each instance. If your door starts closed, as would ours, we also start the area portal as closed. We then set its linked door to be the name of our door. 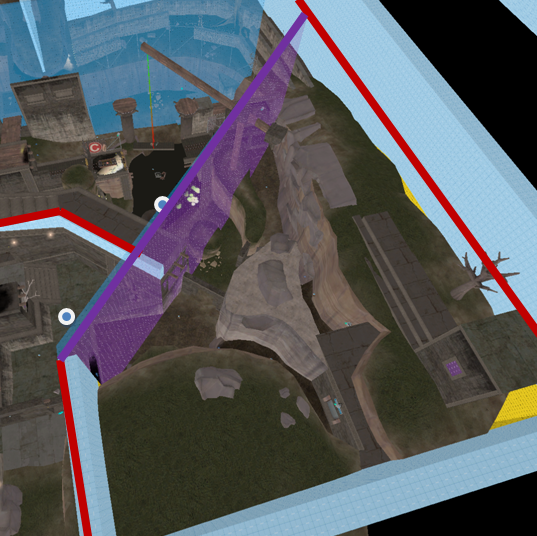 Now, when the door’s position is toggled, the area portal will toggle between open and close: once the door is fully closed, our area portal will shut and act like a world brush and the engineer will stop rendering the sentry. These are best used with spawn doors and other doors that will only be open momentarily; this gives you a higher budget (budget in optimization terms is the amount of detail you can use without impacting framerates negatively) to work with, without using one of our hint structures (which tend to complicate areas) instead. We’ve toggled off details in our visgroups so that we can see the Occluder here. Now, neither the sentry nor the engy, were they both players, would be able to render one another. Occluders sound great, but they’re not at always a good idea! It costs the client to calculate which props should be ignored, so be sure that each occluder prevents a large number of high poly props from being drawn to balance out the initial cost of calculation. Look to Gravelpit’s vmf for correct usage. Draw distances. 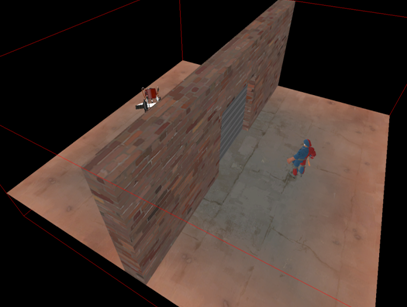 You can assign fading properties to any props that will prevent them from being drawn at a certain distance away. This works best on small detail props, but beware that it costs the client to fade the prop, so they will only experience benefits when the prop is completely invisible. Func_lod. This is an entity that is exactly like a func_detail except that it has fade distances like props. Use these sparingly. Lightmap optimization. Look it up elsewhere Doesn’t offer any huge gains, but shrinks file size. Func_detail. The less partitions created by vbsp, the shorter vvis takes and the less calculations your players have to perform within each partition. Use func_detail to reduce the complexity of your vbsp structure. 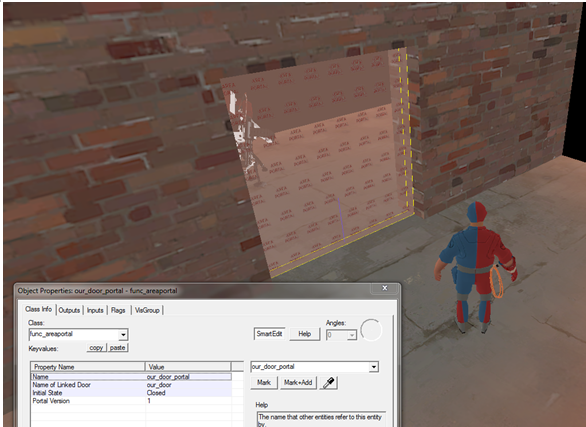 To view the structure of your map, compile it and then go to Map->Load Portal File and choose the associated file. The blue lines are the cuts that have been made around each partition! Advanced area portal usage. Area portals have small performance benefits when placed in doorways correctly; again, find a different tutorial for this particular piece. Fog. 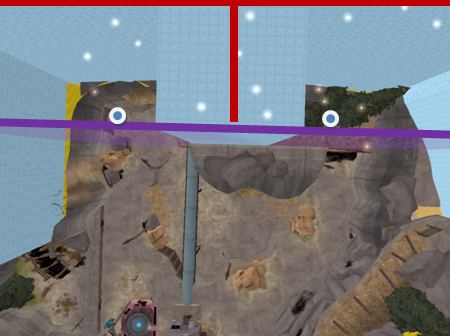 At the limits of your map’s fog distance, decided by your env_fog_controller, nothing more is rendered; if you’re aggressive with this distance, you can slightly reduce framerate loss. Not advised. Displacement power. If you can reduce the power of your displacements (working with power 2 is pro!) by even 1 degree, you will drastically reduce the energy needed to render that particular face. Remember that power 4 represents 8x the number of vertexes in power 2, 2x power 3. Even going from power 3 to 2 reduces the number of vertices considerably. Nodraw. The engine automatically deletes brush faces facing the void or completely covered by other brush faces, but there are often faces that do not satisfy these conditions that will never be seen by your players- usually the back faces of detail behind player clips. Applying the nodraw material to these faces will remove them from the cost of rendering. This entry was posted on Sunday, December 13th, 2009 at 1:38 PM	and is filed under Tutorials. You can follow any responses to this entry through the RSS 2.0 feed. You can leave a response, or trackback from your own site. I have never read a more easy to understand tutorial on optimization. Thank you x100! Thank you for the great intro Mangy! Now I’m ready to give optimization a shot. I might try this, keep my maps from lagging horribly. Amazing guide Mangy! I’ve never been able to properly grasp how to use hints correctly. This helped tremendously. Vander Said: I have never read a more easy to understand tutorial on optimization. Thank you x100! I have to agree with this ;P! 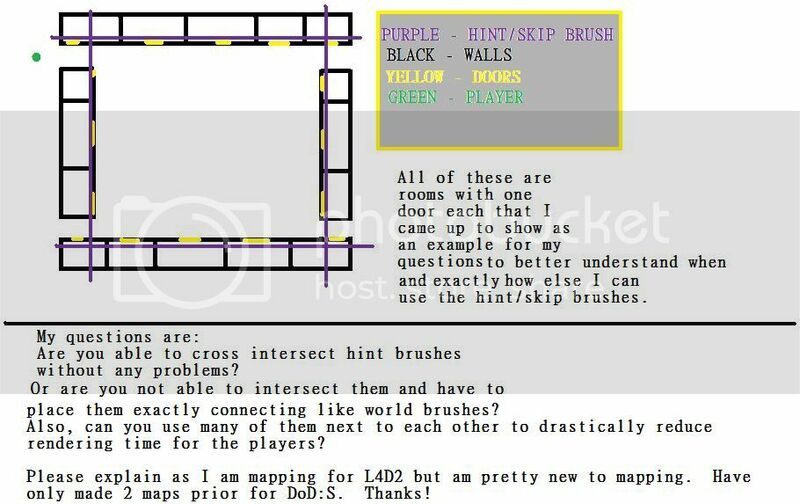 Helped me a lot with the L,T,W shapes and the area portals. I’ve heard though that occluders should be considered a last resort. 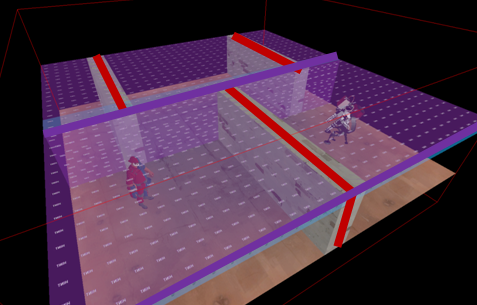 But whatever :P.
Just so you know, I am working on a 7-8 map campaign for L4D2. Thanks in advance! The article above is actually the best article I’ve seen regarding the hint/skip texture. An article that definitely needs to be in the SDK Documents. You could do something related to Left 4 Dead 2. Maps from this game are pretty complex, specially in versus mode. It should help a lot. Это не просто интернет-магазин, а возможность совершать покупки для семьи, дома и отдыха в одном месте не выходя на улицу. Мы предлагаем широкий ассортимент высококачественных товаров и аксессуаров отечественных и иностранных производителей, которые отвечают всем необходимым стандартам. Мы постоянно расширяем и обновляем наш ассортимент и совершенствуем качество сервиса, стараясь создать для вас наиболее удобные условия. Независимо от ваших финансовых возможностей, в нашем семейном магазине вы всегда сможете подобрать товар не только себя, но и для ваших близких, при этом избежав значительных затрат и утомительных походов по магазинам.